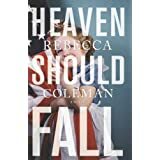 My writing friend Rebecca Coleman has published her fourth novel, a literary exploration of the effect of post-traumatic stress syndrome on a marriage and a family. Here is the review I wrote for The Internet Review of Books. In her second literary fiction effort for MIRA, Coleman (The Kingdom of Childhood, 2011, etc.) dissects one of the millions of human stories lurking beneath the headlines. Jill Wagner, raised by a single mother and knowing nothing of her father, is orphaned at age eighteen when her mother is killed in an airplane crash. Jill's just begun college somewhere near Washington, D.C. There she meets Cade Olmstead, a driven student whose unceasing ambition is to worm his way into the national political process. Boy meets girl, an incandescent love affair begins, all while Cade is deeply immersed in a local Congressional campaign. The ladder-climbing Cade happens to be desperately ashamed of his family, an admittedly odd bunch who reside in northern New Hampshire. In fact, he won't even take Jill home with him on vacations. The one member she meets is Cade's brother Elias, and him only on a brief stopover as Elias returns from one of his multiple military deployments into the maelstrom of the war on terror. And then the young lovers' world is turned upside down when Jill becomes pregnant. At this point the narrative segues into a multi-character study. If there is but one description to be offered, the Olmsteads are a family spinning down through the Tolstoyan aphorism, obliviously intent on becoming truly unhappy in their own way. Retreating to New Hampshire with the resolved and somewhat optimistic Jill, Cade finds himself underemployed and growing increasingly stressed and frustrated by his inability to penetrate the inner workings of Washington political life. Discharged from the military and home in New Hampshire, Elias descends into post-traumatic stress syndrome. The brothers' older sister, Candy, has wrapped herself in a twisted Christian fundamentalism and kowtows to her husband, Dodge, a rigidly paranoid survivalist. The once-abusive pater familias has been gutted by a stroke, and the mother has retreated into passivity. The narrative unfolds with chapters rendered in various character's point of view, with the catalyst for the Olmstead family implosion being Elias' suicide. Guilt-ridden Cade, thwarted by bureaucratic fumbling from continuing his education, becomes seduced by Dodge's anti-government derangement. Carrying her own guilt over Elias, especially since she found his gentle nature appealing and because she understood Elias was attracted to her, Jill finds some solace from Cade's mother. But she grows frustrated with Cade's retreat from reality, from possibility. With the family's despair, frustration, and anger reflected off the patient and open-hearted Jill, the thoughtful reader begins to delve into the mystery that is Cade, the most fascinating, most puzzling, most memorable of the Olmsteads. As the boys grew up, Elias took the brunt of the patriarch's wrath, with Cade unfolding success after success, at least until his seemingly promising political ambitions are frustrated. With Jill's pregnancy, unplanned and unwanted, it appears that Cade has one more chance to be the man he wants to be. As Coleman's narrative unfolds, Cade is likable and sympathetic. In some manner he is a stronger and more fully imagined, yet shadowy and a never fully realized character. He is human, fragile, and weak, the sort of character a reader might see himself in, a sympathetic anti-hero. Jill is a strong woman, her judgment clouded only by loyalty to love. All readers seek both entertainment and perhaps unconsciously, empathy, which in some measure is "seeing the possibility of self" in a literary work. As noted, Cade is the antagonist, sometimes sympathetic, sometimes puzzling, but Jill's relationship with Cade and her choices, her ambivalence, her coping with the Snopesian atmosphere in which she finds herself is entirely believable. Don't be put off by MIRA being a unit of Harlequin. Coleman's effort isn't a romance; it is an affecting character study, a novel that will leave you thinking about its characters after you have closed its covers. Sounds fascinating, Gary--thanks for sharing! And thanks for the caveat about Harlequin & MIRA--if I'd found the book on Amazon, looking at the publisher would've immediately turned me away from it :) Thanks to you I'll give it a shot.